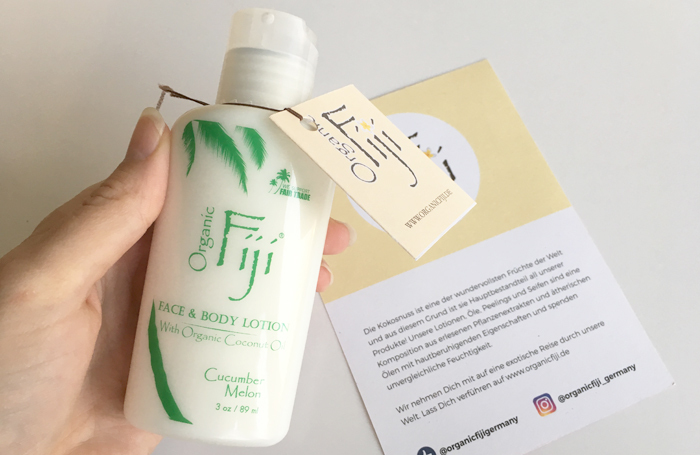 Searching for a Green Beauty Subscription Box in Germany? FairyBox is a monthly beauty box where you receive four to six different natural / vegan / cruelty free / organic / all of the good stuff products. Sometimes you get full sized products, sometimes deluxe-sample or travel sized. FairyBox doesn’t just include the big brand names that you know, but also boutique handmade products from smaller brands (LOVE this about them!). FairyBox generously sent me their January Box for review. 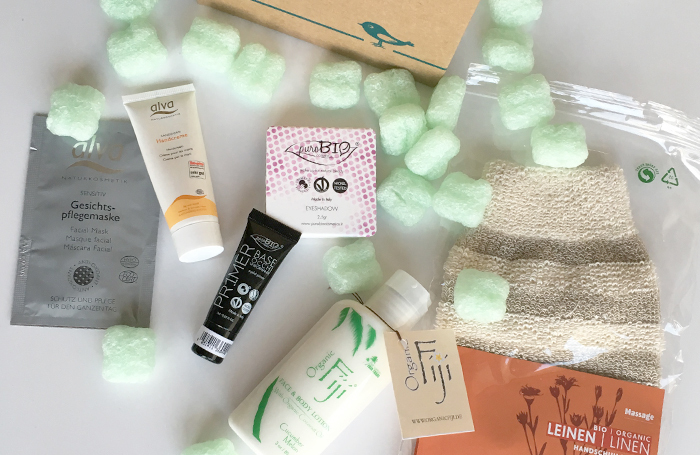 In this month’s box there was a fabulous selection of six products from four different brands. I like how there was a mixture of makeup and skincare included in this box. Looking back through their previous months this was usually the case. 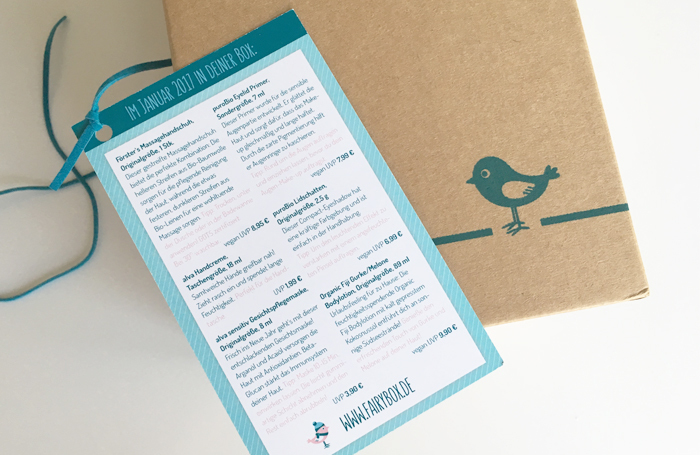 The box is just gorgeous and includes information about all of the products you will find in the box, including how much each product is worth. *Spoiler Alert* when you receive your box, don’t read this info first if you want the products inside to remain a surprise! I love how they’re conscious with their packaging and don’t use glossy boxes or paper which are then easy to recycle; I especially loved that the packing peanuts (don’t have a better name for them) are made from 100% corn-starch and water! (yes, I licked one) My cat enjoys playing with things like this and it meant that I didn’t have to worry if he ate any of them! 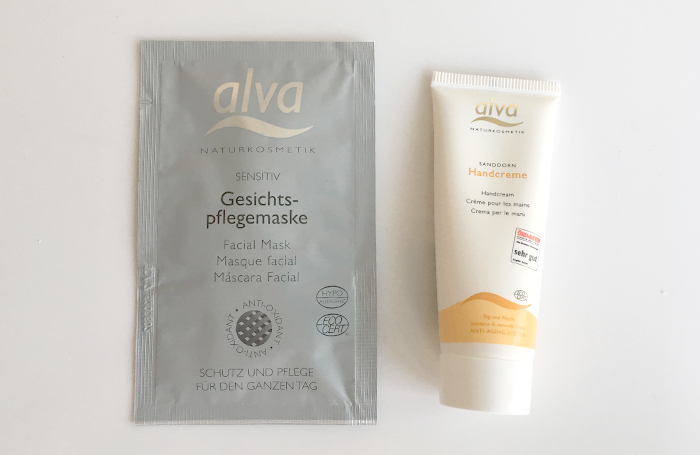 From alva was a handbag sized Sea-Buckthorn Hand Cream (RRP €1.99) and an Antioxidant Facial Mask (RRP €3.90). Both items are EcoCert Certified. So excited to have this hand cream for my handbag! Lovely subtle scent and absorbs super quickly (an absolute must for me). I haven’t tried the mask yet. The next item was this gorgeous Cucumber and Melon Face and Body Lotion from Organic Fiji (RRP €9.90). Love the tropical scent, and another fast absorber! Fair Trade, vegan, organic ingredients, cruelty free, non-GMO, and no nasties! What more could you want! 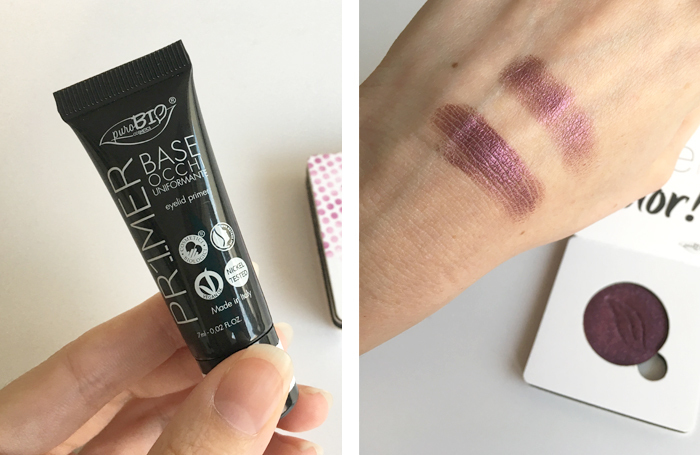 There were two make up items included from puroBio which was their Eyelid Primer (RRP €7.99), and a Pressed Eyeshadow in the colour 06 (which is a metallic-y purple) (RRP €6.99). Both products are vegan and nickle tested. The eyeshadow does NOT contain talc which was a big plus for me but does contain “parfum”, no idea why that needs to be in there. In in the image below I have swatched the eyeshadow with and without the primer. As you can see, the colour payoff is far better with the use of the primer so I was very happy to see it included in the box as well. 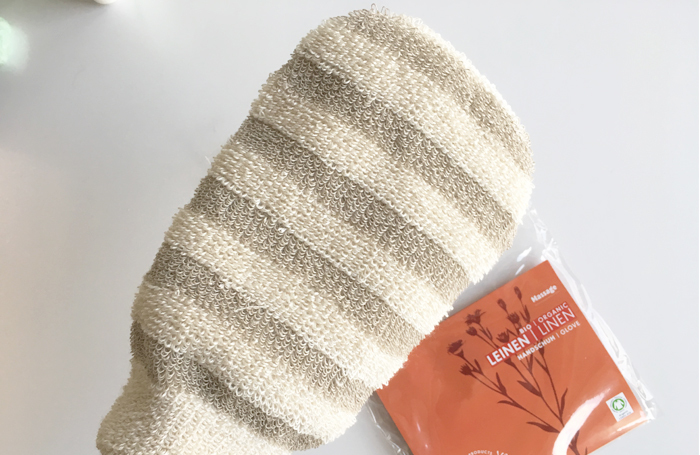 Last but not least was an Organic Linen Exfoliating Glove from Förster’s (RRP €9.90). I’ve used exfoliating gloves in the past, but I think it was a cheap (and probably plastic) one. I liked them but I didn’t really enjoy having the always find the finger holes all the time. What I love about this product is that it’s a mitt as opposed to a standard “glove” with fingers and it’s much easier to put on and go. Overall I am very happy with the quality of products in this box, I will definitely use all of them which I think is a real bonus and sometimes downfall with subscription boxes. You can subscribe to the FairyBox for as little as €19.90 / month! The items in this month’s box were worth double that, so great value, and a great selection. I also liked that they weren’t really sample sizes so you were able to get enough use out of them to decide if it was the right product for you and if you would repurchase. 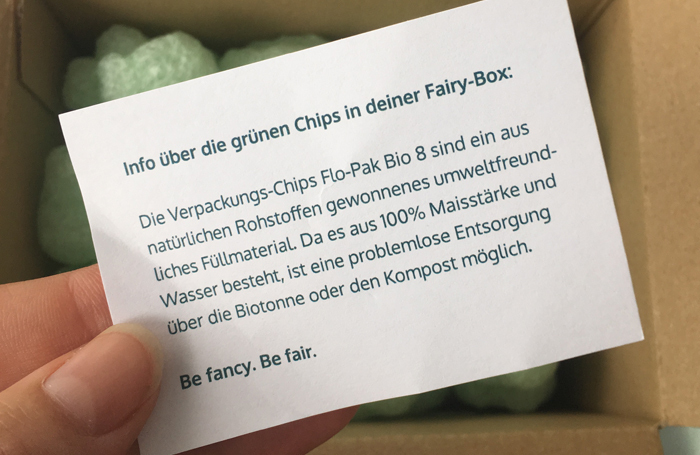 Have you tried a FairyBox?